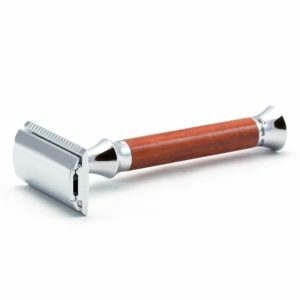 The Omega black Safety razor from Edward's shaving shop. Another great razor from the Italian company Omega. Since 1931 this family business have produced highly regarded shaving products. 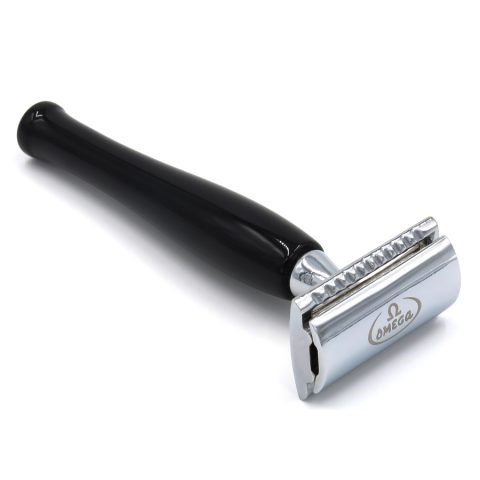 The Omega black safety razor is testimont to this, with it’s excellent build quality and top end materials. 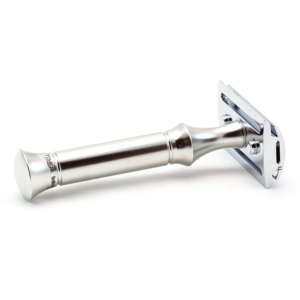 Starting with the excellent casting of the head in plated chrome, which is the timeless design of the 3 piece razor. Clamping the double edged blade between the two part head, and the top securing the whole mechanism into the body. The handle is turned by 4th generation craftsmen at the factory making this unique vase like design. Which is not only elegant, but also very practical for moving from angle to angle on your face. Also this razor is of course middle aggressive, making it have a general purpose of taking on any length of hair. It will also be a close every day razor that won’t give you any trouble. Due to it’s closed head and also a certain degree and blade allignment, it will glide through your stubble. We recommend small strokes with our shavers, especially middle aggressive to aggressive. This makes the sitting position on your face resit itself each time, to avoid any blade snag. This is moreso important on your throat, due to the skin being thinner and it generally being a bit eneven. 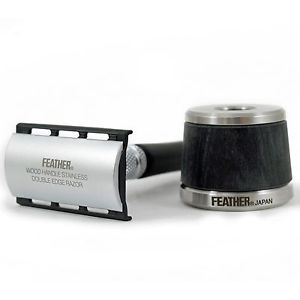 We have a lot of time for our customer base and want to get the best razor for you. As we know that the products we sell last for a lifetime and are in many cases are given as heirlooms. We like this razor due to it being so simple. It also has a trustworthy mechanism which will not break. If there are any questions you have about Omega products. Please get in touch with one of the team who can give you a straight answer. 2 to 3 day delivery on this Item.